How Often Do You Have to Replace Running Shoes? 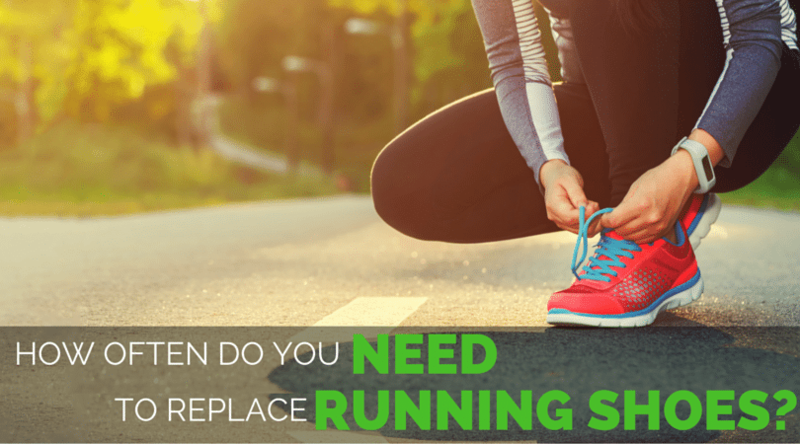 How Often Do You Have to Replace Running Shoes? 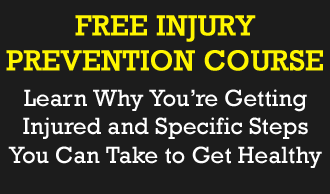 Runners Connect » » Injury Prevention How Long Before You Have to Replace Running Shoes? How Long Before You Have to Replace Running Shoes? Running is the best form of exercise there is. Okay, so we may be a little bias, but running is definitely one of the least expensive ways of getting fit, especially as all you need are good running shoes and you are off. We’ve all heard of the recommendations by shoe companies and running stores about running shoes; when to replace and after 400-500 miles miles we should buy a new pair of running shoes to avoid injury. But it’s also likely that you know other runners who get endless mileage out of a single pair of shoes with no apparent ill effect. Today we are going to look into why you need to replace running shoes, and what to look for to know how often to replace your running shoes in the future. We are not affiliated with any company, so you know we are telling you the truth. You may be surprised with what the research found about which is the “best” shoe brand! Why Do We Need to Replace Running Shoes? 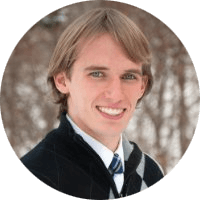 Other than good running shoes being one of Brad Beer’s 5 Steps to Injury Free Running, your running shoes are a critical part of your running form. While most of the visible wear to a shoe occurs on the upper fabric and the “outsole,” the hard rubber bottom of a running shoe, the wear that most affects biomechanics (and thus, the wear most likely to have an effect on injury risk) occurs inside the midsole. The midsole is the thick layer of (usually white) EVA foam that cushions impact and, in some cases, is designed to modulate your foot mechanics. Many shoes have a “dual density midsole,” denoted by a gray block of denser foam under the arch. This medial wedge, as it is called in the shoe industry, is designed to resist pronation. While EVA foam is quite resilient, research shows that it still breaks down over the course of thousands of footstrikes. First, using a “running machine” which simulated the impact associated with running hundreds of miles in a pair of shoes, the researchers tested in a controlled way how the shock absorption changed over time. Then, they compared these artificially worn shoes to shoes worn by actual runners over an equivalent volume of running. In the machine-simulated running, shoes had decreased to 75% of their initial cushion after only 50 miles; this cushioning dropped to 67% after 150 miles and ultimately to 60% after 500 miles. The shoes worn by the real runners also declined in cushioning, following the same pattern of rapid decrease in cushion initially, tapering off and nearly leveling out at 500 miles of running. But when worn by real runners, the shoes only dropped to 80% of their initial cushioning—good news for shoe-shoppers. The researchers found no significant difference in wear properties amongst many different brands. The Nike shoes deteriorated just as much as the Adidas or Brooks shoes, despite each shoe boasting different cushioning technology. So much for a superior brand! Finally, Cook et al. tested the “decompression” theory, which many runners have likely heard of. Allegedly, if you alternate between two pairs of shoes to let the EVA foam decompress over 24 or 48 hours, you’ll retain cushioning in your shoes better. This turned out not to be the case. But, while the evidence is clear that shoes do change significantly as they accumulate more mileage, does that mean that your running mechanics will change because of it? The runners were split into three groups, each of which wore a different shoe—an air-cushioned shoe (Nike), a gel-cushioned shoe (ASICS), and a spring-cushioned shoe (Spira). The results highlight a few important findings. First, at the initial evaluation of running mechanics (before the 200 miles of training), there were no differences between the groups. This should teach us a thing or two about how shoes can (or rather, can’t) affect running mechanics. But, more to the point, there were only minor changes in running mechanics after the 200 miles of wear on the shoes (none at all in the hip and knee), and no changes in actual forces measured. Even though we may reasonably predict that the shoes had lost 20% of their cushioning capacity, there was no change in impact forces! This should come as no surprise to regular readers of this blog, since we’ve seen before that the body adapts to various surfaces by changing leg stiffness. The increased stance time that Kong et al. observed hints that the leg becomes more compliant to adapt to the stiffer, thinner worn shoes. The other findings of Kong et al. are also in line with adaptations associated with running on harder surfaces, like flatter foot placement. Additionally, there were no differences in mechanics between wearers of the different shoe types after the 200 miles of training either. What Does all this Research Mean? First, we know for sure that shoe cushioning deteriorates over time. As you accumulate more and more mileage in your shoes, they become thinner and stiffer, almost turning into a racing flat towards the end of their life. And the not so good news? This deterioration is worst in the first few dozen miles you run in a pair of shoes—this might explain why some runners find that a shoe that feels great in the store starts to feel not so great after just a few runs. On the other hand, these changes don’t have a big effect on your running mechanics. Your body adapts to the gradually changing situation beneath your soles, allowing you to maintain an even stride over a range of shoe conditions. However, the way your body does this is by altering muscle activation. So, when you run in a shoe that’s thinner and stiffer after 500 miles of training, your leg muscles are tuned to be looser, compensating for the shock absorption lost from your shoes. There’s no telling how this may affect forces inside your body, even though there’s no change in forces outside of your body. If you are well into your marathon training schedule, this is probably not something you want to be messing around with! Finally, don’t worry about “resting” your shoes to let the foam decompress. I still think swapping between multiple pairs of different shoes is a good idea if you’re a high-mileage runner, but the benefit is more in switching up how your foot is stressed every day than it is in letting your shoes decompress. When Should You Replace Running Shoes? Swapping out shoes at 400 or 500 miles is probably still a good idea, but don’t swap out an aging shoe because you liked how it felt fresh out of the box—shoot for shoes that feel good on your feet after 100 or 200 miles of running, since this is when a shoe starts to “bottom out” in its cushioning loss. Don’t rely on any high-tech gimmicks to preserve shoe cushioning. It doesn’t seem to matter whether your shoe has gel, air, or springs; the dominant factor is still the EVA foam, and in that respect, all shoe brands are more or less the same. If you rely on your shoes for a specific biomechanical effect (especially when used in conjunction with a custom orthotic), it’s a good idea not to run too long in the same pair of shoes, since there’s no telling how your body will tolerate the altered surface. But if you are relatively healthy and just need a comfy pair of shoes to protect your feet, there isn’t any evidence that pushing the boundaries on shoe durability is going to cause any real harm aside from having a pair of shoes that look dirty and smell awful. When it comes to choosing a pair of shoes to wear, your best bet is to listen to your comfort. Running stores may have recommendations for what they think you should wear, but remember they may be bias towards one brand or particular shoe. We have found that following what is recommended from your running store gait analysis can actually put you at a HIGHER risk of injury, Matt Phillips talked about this more in his podcast episode about how to chose which running shoes are best for you. Remember, you are the one wearing the shoes, not the sales consultant! Download your FREE lacing techniques guide inside your Insider Members area. You know when to replace your shoes, but are you lacing your shoes wrong? Download our Running Shoe Lacing guide for free and get a quick reminder, specific how-to and resources for videos on the best way to lace your running shoes. 1. Cook, S. D.; Kester, M. A.; Brunet, M. E., Shock absorption characteristics of running shoes. American Journal of Sports Medicine 1985, 13 (4), 248-253. 2. Schwanitz, S.; Odenwald, S., Long term cushioning properties of running shoes. Engineering of Sport 2004, 2 (7), 95-100. 3. Kong, P. W.; Candelaria, N. G.; Smith, D. R., Running in new and worn shoes: a comparison of three types of footwear. British Journal of Sports Medicine 2009, 43, 746-749. The reason your Green Silence is only lasting 200 miles is because it was made as a race specific shoe. Nearly all race specific shoes last 100-200 miles. yup – they are labeled as race specific – i can’t seem to find a regular trainer with all the features of the green silence and i’m not into the feel of the pure connect line. one was too firm and the other too soft. any suggestions Brandon? tx! I usually run in shoes until I feel more sore than usual or some new aches and pains. Rotating three different shoes seems to help them last longer but I could be wrong. I have found that shoes that need breaking in last longer, and know I now why. It isn’t necessarily that they last longer, but the EVA foam has broken down. Good to know. My Pureconnects took about 100 miles to that right felt great and they are still feel good with well over 400 miles. I have never got more than 350 out of my daily trainers which are the Brooks Ghost. I tend to wear away the very outside of the outsole of my shoes nearest the ball of the foot, especially with the left foot. As a result, the EVA foam becomes exposed. Any thoughts concering this? Do your feel you should change shoes when you find yourself at least partially running on foam? I would say that if you’re running on the foam, it’s time to get a new pair. I imagine the EVA is protected of sorts by the rubber, so once it goes the EVA will deteriorate quickly. No science to back that up, just an observation. I transitioned to my first pair of “flats” just over one year ago. I chose a shoe that had no difference in thickness from front to back, but does have some cushioning, figuring it might make a great transitional shoe. One year and 800+ miles later (I run in another pair of shoes for my speed workouts) in spite of wearing through the soul on the outer forefoot area (i land outside to in) they still felt great. Finally retired them after my last half marathon figuring they had had more than served their purpose. My Brooks Pure Flow have 631 miles on them. The EVA cushioning is gone on the ball of the foot on my left shoe. I’ll run in these shoes until there’s a hole to the inside of the shoe. In the past I put 1,330 miles on Addidas Ride. Shoes are shoes unless they have an affect on my bare feet. I used to run my traditional shoes about 300 miles, but now that I am running in Vibram Five Fingers I am finding they are lasting much longer. I usually run until they have a mechanical failure such as a hole. Good point. Because Vibrams don’t have EVA (or support for that matter). they should last until the fabric rips. I’ve been running for 48 years, and 3 years ago went 100% to the Vibram 5 Fingers. I used to wear my shoes until the inner layers started to show under the outside edges and the outside rear heels of the shoes – uneven wear patterns. (Of course, that was when they were the most comfortable!) What I have noticed on the VFF’s is that the wear pattern is now quite even across the ball of the foot, and that the heel area is not showing any uneven wear – in fact, a bit less wear than the ball of the foot. My knee injuries have cleared up, my ankle that would remind me of a twisted ankle that I got in high school now no longer haunts me, my hips feel better, and I’m racing faster than I had in the previous 20+ years. My thoughts? It’s the shoes – they force us to adapt unnaturally to their build, cushioning, and design. I think this is a misstatement, as above you state that studies show shoes typically deteriorate TO 80% of their initial cushioning (i.e., losing 20%, not 80%). Otherwise, this is a well researched article as usual, thanks for sharing. I have believed for some time that there is a mental game we play when our shoes reach the 400-500 mile mark, where we think we should start to feel more sore and therefore we do. Maybe it would be better if we didn’t track our shoe mileage – we might find we “accidentally” get more out of our shoes! Thanks, Greg. Fixed that misstatement on our part! Ah yes thanks for pointing that out Greg. Should have been “RETAINED” 80% of their cushioning! Pingback: Does increased cushioning in a running shoe prevent foot or running injuries? I’m interested in the comments about the eva exposed as a good time to swap shoes, I have done a 100mil+ on a pair of Nike Luna Glide 6 shoes and they have less than half the midsole covered by rubber, straight out of the box. How on earth do you work out when to swap these. I was at a ‘large’ local fun run (in a small regional city in Australia) and a Mizuno rep told my Nike shoes cause lower leg pain/injuries because of the density of the eva. I’d never heard this before, have you? Well, I must say the article was very useful for me in regards to choosing brands and the reality of how the shoes wear out. On the other hand, I believe changing shoes every 500 miles is reserved for people with means. I change my shoes every 1300 miles and so far I haven’t had any problem with that. My brand of choice is Nike and I’m a marathon runner. I’ve experienced noticeable knee pain in shoes that have too many miles on them. I do a considerable amount of mountain running though. I try to squeeze as many miles I can as I would hate to toss shoes that could still be very good. After several cycles, I have better grasp of mileage with my new balance shoes – approximately 800 miles, going beyond them introduces knee pain. It can be difficult for runners not to keep walking the line of wearing shoes for too long, but it is good you have figured out what works for you. A lot of people find knee pain is the indicator. Thanks for sharing Steve! I typically get about 300 miles out of a pair of shoes before little aches and pains start creeping up. I do wear the bottoms pretty evenly, but I suspect the lower mileage is from running on concrete, which is the only option close to me. I am not a runner, but one with long time foot pain problems. I’ve tried stability, MC, and neutral shoes, w/ and w/o orthothics, and they do not seem to make a difference in my pain. One trend I see is after about 100 miles (walking on concrete) it seems the shoes seem to be more aggressive on my arch, which increases my pain. Could it be the cushioning gets compressed more on the heel and forefoot, where the weight really is, relatively raising the arch support? Which would make the arch more aggressive and therefore more of a MC shoe pushing up on my arch? Comments welcome. Tx. I’m rotating two pairs of Asics speedstars that are both over 600 miles. I feel fine and am averaging 40-50 miles per week on them. They don’t make the brand anymore and I’ve been lazy about going and finding new shoes. Hi Curt, thanks for sharing. You may enjoy this post on reading wear patterns, as some people can get away with more miles than others. https://runnersconnect.net/running-tips/read-wear-pattern-running-shoes/ Best of luck with finding a new pair of shoes! I enjoy training for half marathons, a 10-mile road race, and a local running club’s 5 miler – that’s the extent of my “racing” in a calendar year. Therefore, I don’t have steady high mileage except in the summer leading up to the fall half. I’ve worn Mizunos for awhile till they stopped making that particular shoe (the Precision) and since then, I’ve been wearing the New Balance 890 v4, which I love even more than the Mizunos. Regardless of shoe brand, I consistently wear out to the foam the right foot’s outer heel part of the shoe. Even more specifically, it’s the right side of the heel that is worn out. My left shoe shows some wear but not nearly as severe as the right shoe. I’ve found that the right shoe foam becomes visible as early as 6 wks since purchase and wearing it for the first time. Is this normal? Actually, the better question is – should I replace the shoe? I don’t experience any pain or discomfort, and I’m not crazy about shelling out money for a new pair when I’ve only been in this current pair for about 5 mos now. It seems like a waste when the rest of shoe and the left shoe are much less worn-through. Thanks in advance. Hi Jane, thanks for reaching out, and thank you for the detail you shared with us. It is good to know that you are diligent with your shoes, and you are doing the right thing. As for the wearing out of your shoes, this post will probably be what you are looking for https://runnersconnect.net/running-tips/read-wear-pattern-running-shoes/ this should answer your questions, but if you want further information, take a listen to the author of this post being interviewed, which will give you even more advice in this podcast https://runnersconnect.net/rc43 Hope this helps! I run in brooks glycerin 13 and so far there are 240 miles on them. The shoe still feels new. I usually run in 1 pair of shoes for about 3 months(400-500miles) or until the bottom starts to wear out. Since I run everyday intensively, my shoes wear out quicker. But the brooks are a great shoe! Hi Alexis, thanks for sharing! That is great you are able to get so much out of those shoes. Keep monitoring them, but sounds like you have been doing that. Thanks for the insight. How do I find a pair of durable shoes for road running? The sole wears out too fast. Adidas supernova and adidas kanadia, lasted just a couple of hundred km, despite claims of continental make tyre compound for the sole. In fact, I chose those shoes hoping the wear would be reasonable, going by the tyre compound claim. Hi Balaram, thanks for reaching out. We talk about the wear of shoes in a different post; https://runnersconnect.net/running-tips/read-wear-pattern-running-shoes/ but as for specific recommendations, we do not make direct suggestions for a brand. Some people do have to switch out their shoes more often than others (and the post I just shared will explain why). Your best bet is to just try different brands and styles shoes and see which ones work best for you. If Adidas is not working, give one of the other brands a try! Hope this helps! Sorry we could not give you a more specific answer. My knees will tell me when I need to get new shoes. During the late 80’s, early 90’s I could get 2500-3000 km out of my Saucony’s, the shoe guy will see me once a year. Nowadays, between 800-1000 km. My shoe store sees me now up to 3 times a year – more profit, less quality :-). Hi Casper, thanks for your input. That is fantastic that you have found what works for you! Stick with it! Running shoes have changed, but at least your body tells you when it is time and it is a relatively easy fix. Is there anything else we can help you with?